My number one goal is to make your wedding photography experience as seamless as possible. I work with you closely all year long to make sure we document your love story in the most artful, meaningful, stress free way! This summer I had the pleasure of photographing Lyn and David in Boston, Massachusetts. They eloped last year but never had professional photos done. So Lyn, her David, my David, and I recreated their special day with a four hour long photo session around their favorite places in Boston. Here is a look into…. Rose Hall is a casually elegant indoor/outdoor garden wedding ceremony and reception site with a vintage flare. Located northwest of Atlanta, the pathway to the gorgeous gazebo and vintage chandelier is lined with rose bushes. These bushes were in full, hot pink bloom for Josh and Brooke’s romantic summer wedding day. Savannah, Georgia is full of rich History, and ever since seeing the infamous "run Forest, run" scene in the legendary movie, Forest Gump, I have always wanted to visit the oak lined drive at Wormsloe Plantation. Arabia Mountain has been and continues to be a desirable location for my clients for the past two years. The sunsets here are just absolutely amazing, and if you are willing to hike about one mile, you can take in all the beauty for yourself sometime! All packages include travel within a 30 mile radius of Atlanta, Georgia. Travel rates apply to weddings occurring outside of the 30 mile radius. A 50% deposit and signed photography agreement will reserve your date. I am happy to create a customized package to fit your specific needs! Just let me know exactly what you are looking for and we can absolutely make it happen. 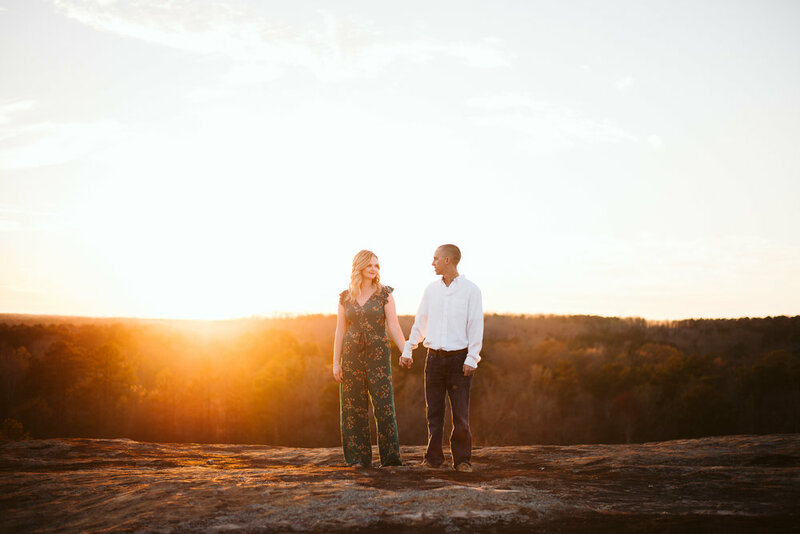 - Epic Locations (Travel Included) Like Savannah, Barnsley Gardens, Asheville, Providence Canyon, Cloudland Canyon and more!